December 21: To Prepare Or Not To Prepare? I have been feeling anxious lately. Apparently, watching The Walking Dead every week, watching Doomsday Preppers as well as knowing about the whole Mayan Calendar with the whole December 21 event and hearing about my husband's recurring apocalyptic dreams, has put me in this position. Maybe I am just being paranoid but thinking about it makes me upset. If I am going to be logical about this, I know that we won't really survive if the world would end soon. Maybe I am only this fearful because I am currently pregnant and wish to have a future with my child as well as my family. Going to work every day doesn't really help. The fact that I am away from everyone I love just to earn money might seem logical to practical people but honestly, it isn't logical when you think about what matters most. My loved ones matter more than my job or the money that I earn. Society just dictates these things to us. We need money because we can't survive without it. Not really but society demands that we earn money to support ourselves. It has actually taught us to be dependent on things to be handed out to us as long as we have money in our pockets which is definitely not good. Anyway, this made me think whether it would be best to prepare a little something just in case an emergency arises or not. Right now, my husband and I are not in the position to do such things as we are going to move out of our current home by next year and we will be having a baby as well. The money that we have will go to my labor and of course, whatever life we will have after that. We wouldn't have extra money to prepare anything but I don't think we will need so much when it comes to preserving food. I know we will be needing more money if we wish to get other survival materials. We also need to acquire new skills and new knowledge to survive in a new world which somehow makes me frown at the fact that my husband and I are not in the medicine field or something useful like the engineering field. It would have been great if we were. But I know this whole plan is complicated especially when it comes to the bug out plan and so on. Just thinking about it is stressful enough. I wonder how the preppers in Doomstay Preppers started out. It really fascinates me somehow. Reading some articles online today, I encountered some that were talking about the whole Mayan calendar and so on. What if the Mayan's calculated it wrong? What if they merely wrote the calendar until that day because of no significance at all? What if all our speculations and assumptions were lies? Well, I guess we can't ever tell. We have to wait for the exact date to know for sure. I guess the only thing that makes me think positively regarding this matter is the fact that nobody knows this for sure. If the world will end tomorrow or not, only God knows. I have faith in him and I believe in him. I may not be ready for what's to come physically but somehow I am hoping that he would strengthen me. Besides, I am looking forward to Christmas and the birth of my baby next year. Why should I worry? How about you? 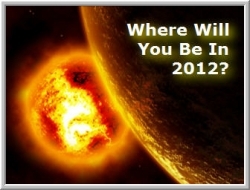 If the world ended tomorrow, will you be prepared for it?